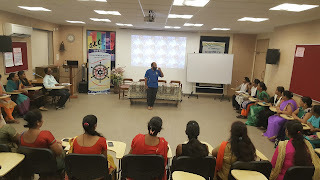 30-Jan-2018, Mumbai: Working on its mission of empowering Self-Help Group (SHG) women from the slums, the Don Bosco Development Society organized a 2-days workshop on ‘short film making’ using a Mobile Phone on 27– 29 January 2018. 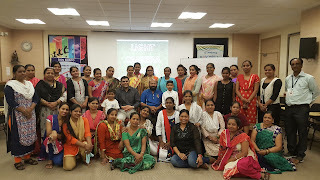 Fr Christopher was the resource person for this workshop in which 77 women from different SHGs in Mumbai participated. Fr. Rolvin D’Mello (Executive Director - DBDS) welcomed the participants and introduced Fr. Christopher (Incharge - Jyoti Bhavan) who was the resource person for the workshop. 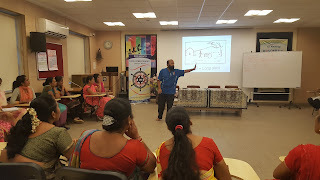 He also explained that DBDS HAS COMPLETED 10 YEARS OF SERVICE IN THE SLUMS OF MUMBAI and now women needs to create their own media to influence the change happening around them. He also announced about the ‘video competition’ to be held during ‘International Women’s Day celebration in March 2018. In the workshop, Fr. Christopher explained on various aspects of clicking photographs with a mobile phone. 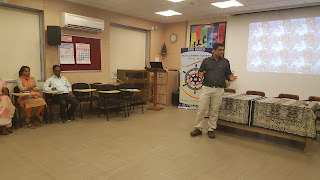 The participants were also taught about the various versions of Android operating systems and the latest versions available in the market. The participants were also made aware of the importance of Megapixels of the mobile camera. The seven different types of shots that can be taken using a mobile camera, the different angles and movements (zoom in and zoom out), panorama, editing, etc. were explained in detail to the participants. The various types of video makers that can be used to shoot videos was explained and they were also given a hands on experience on shooting short films. “We all have mobile phones but were not aware of the features and the process of shooting photos and videos. 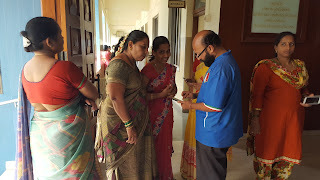 However, thanks to DBDS now we are confident of doing a better job at shooting pictures using our phones” said Mrs. Geeta Khandare a participant. 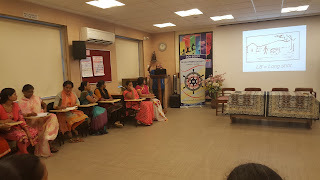 In the end Ms. Surekha Pednekar (Programme Coordinator-DBDS) gave vote of thanks.